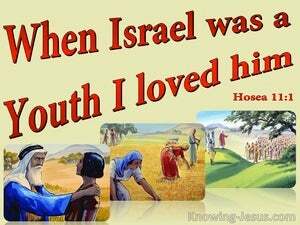 The meaning of Hosea is 'Salvation', and in the book of Hosea we read the amazing history of a faithful, prophet of God, who is instructed to marry a prostitute.. but she continues her harlotry throughout their marriage. The shocking nature of Hosea's marriage is difficult for us to comprehend. And yet this is what happened in the life of this godly man, and is recorded for our learning.